This annual report, ranks a number of KC-area licensed Architects. In the event of a tie, firms were ranked by number of licensed architects firm-wide, then by number of firm-wide employees, then listed alphabetically. To obtain a copy of this KC Business Journal Annual List please visit HERE. 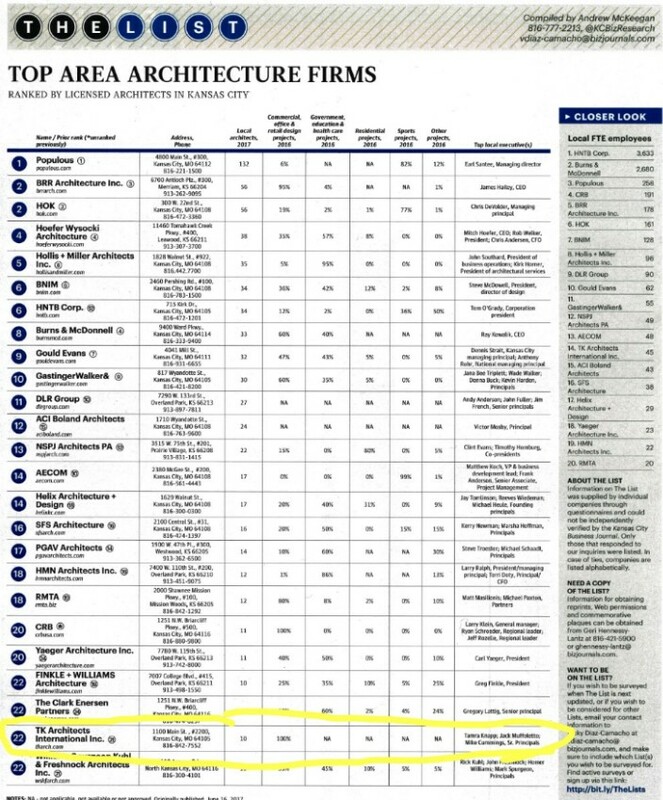 The KC Business Journal has also included TK Architects in its Fastest 50 Growing Companies in the Area repeatedly, including this January ’18 issue of 2017-2018 Book of Lists. Fore more details click HERE.